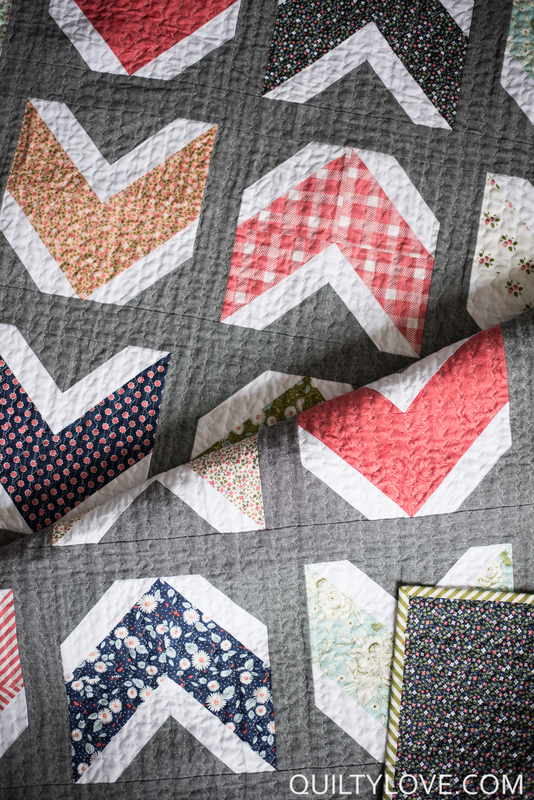 Today I’m excited to introduce this fun new fat quarter friendly Quilty Arrows quilt. 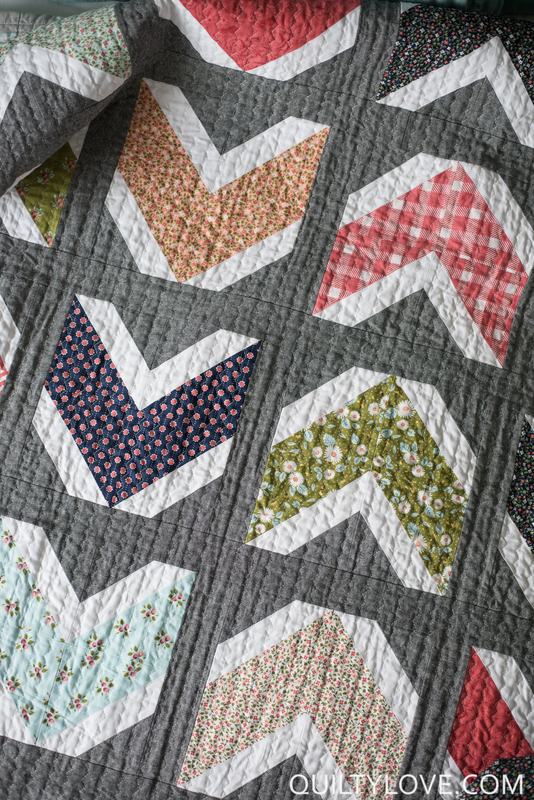 Quilty Arrows is a modern take on the chevron or arrow quilt design. 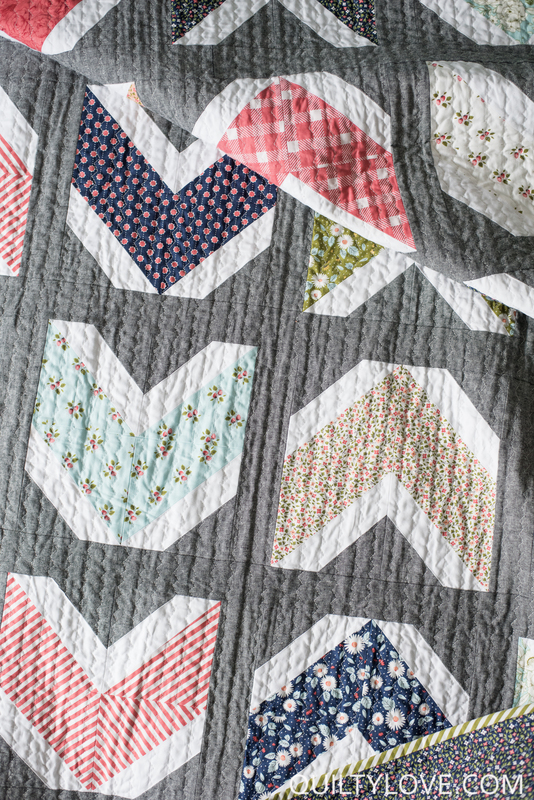 This one goes together pretty quickly using your favorite fat quarters. 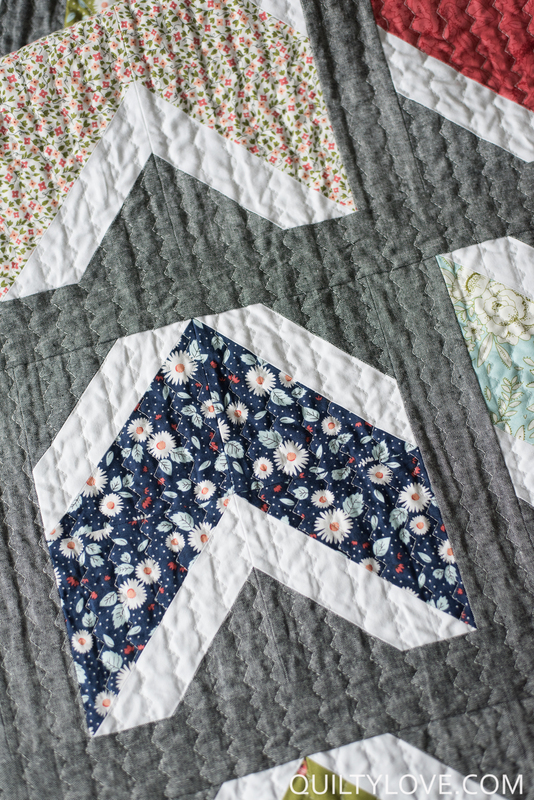 Quilty Arrows is great for the beginner quilter. 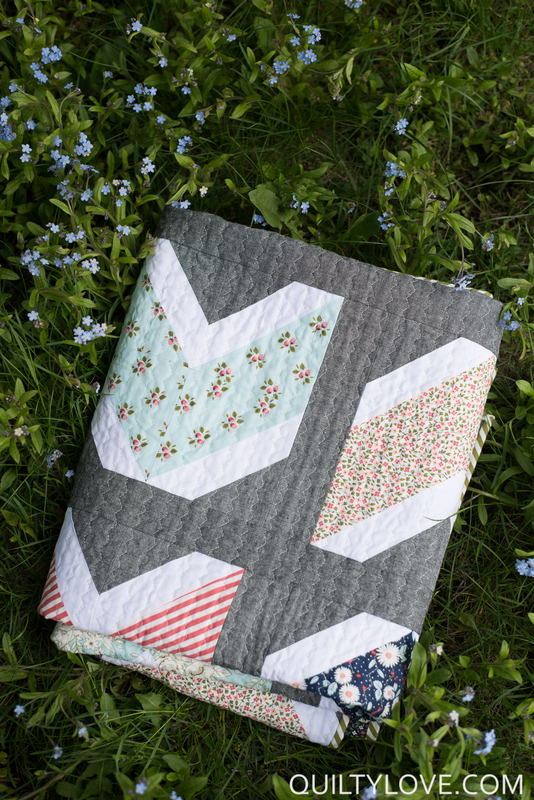 Quilty Arrows has instructions for Crib, Throw and Queen Sizes. 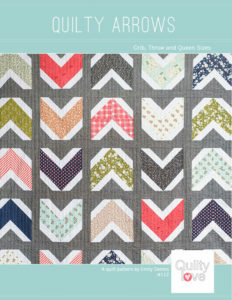 Grab a copy of Quilty Arrows in the Quilty Love Pattern Shop. 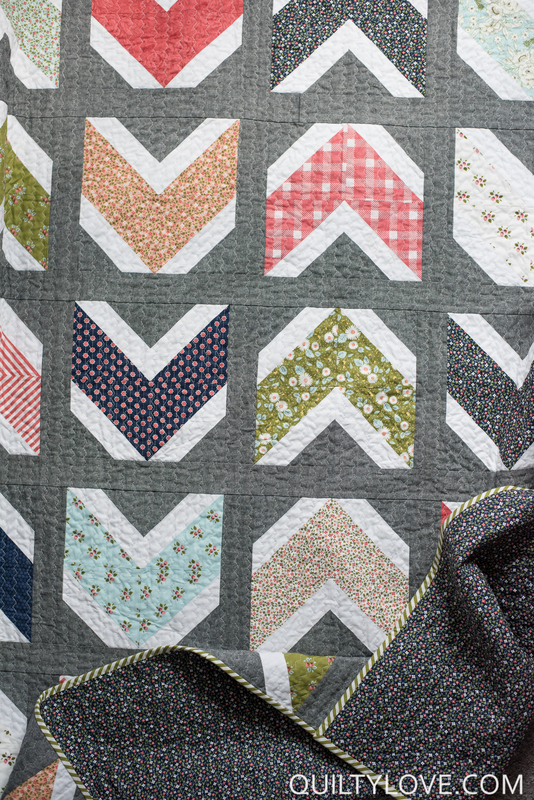 I used Little Miss Sunshine by Lella Boutique for Moda Fabrics. I had this stack hidden in the back of my fabric cabinet and had pretty much forgotten about it. 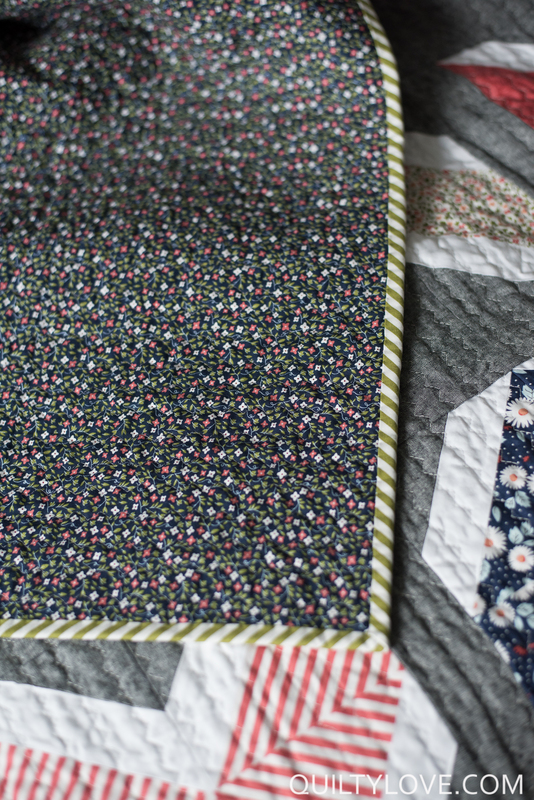 It felt a little like Christmas finding this fabric bundle as it was perfect for this quilt design. 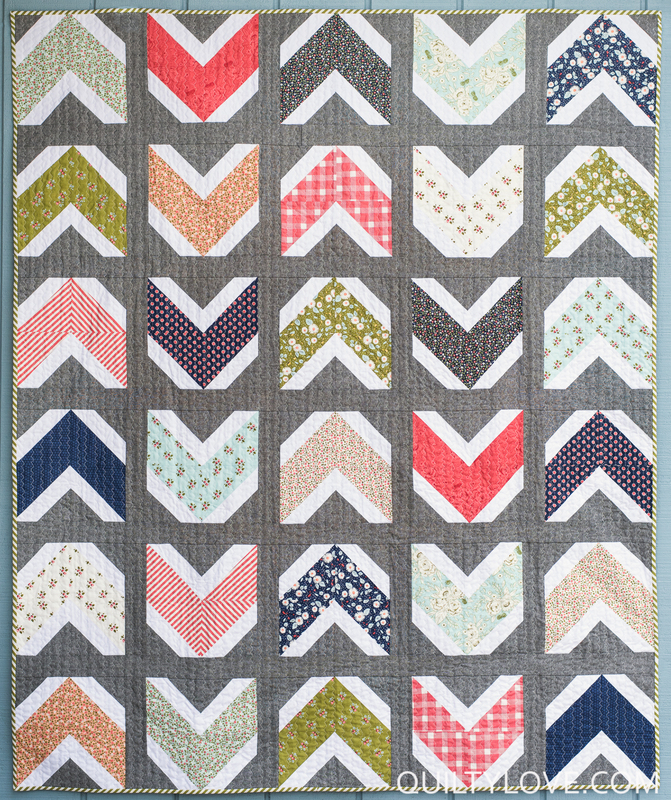 I used one of my favorite background fabrics for this one… Essex Linen in Black. 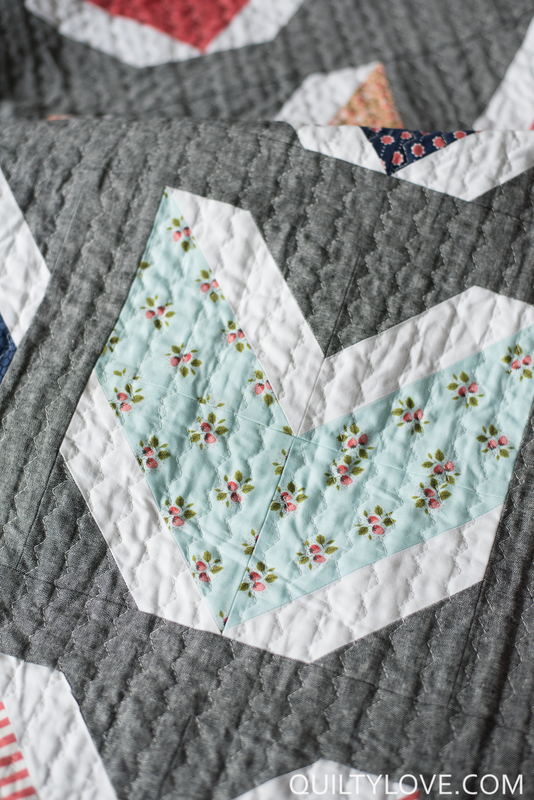 I recently wrote a blog post all about using Essex Linen in your quilts. 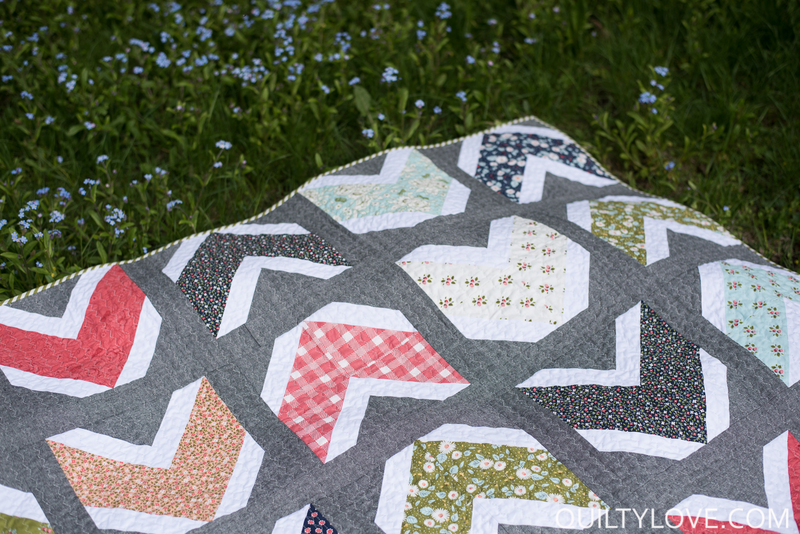 Quilty Arrows is quilted on my domestic machine with my favorite multi zig zag stitch spaced 3/4in apart. 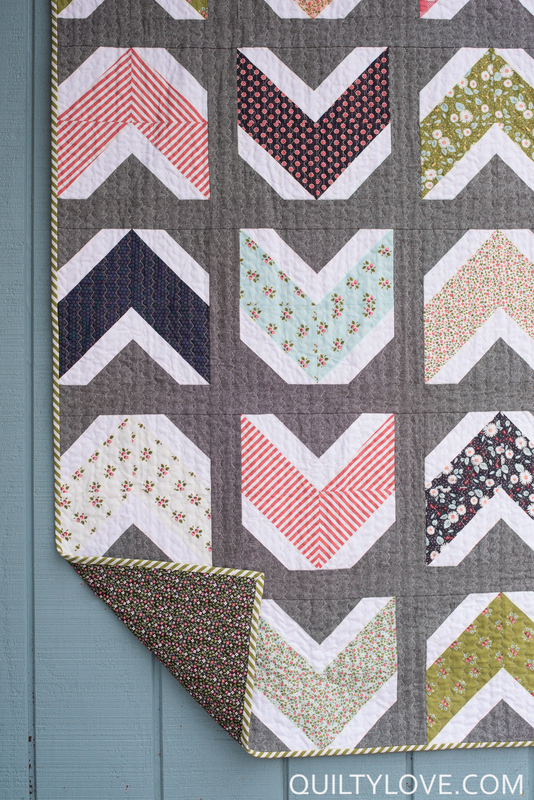 Quilty Arrows Pattern is available in the shop as both PDF and Paper copies. 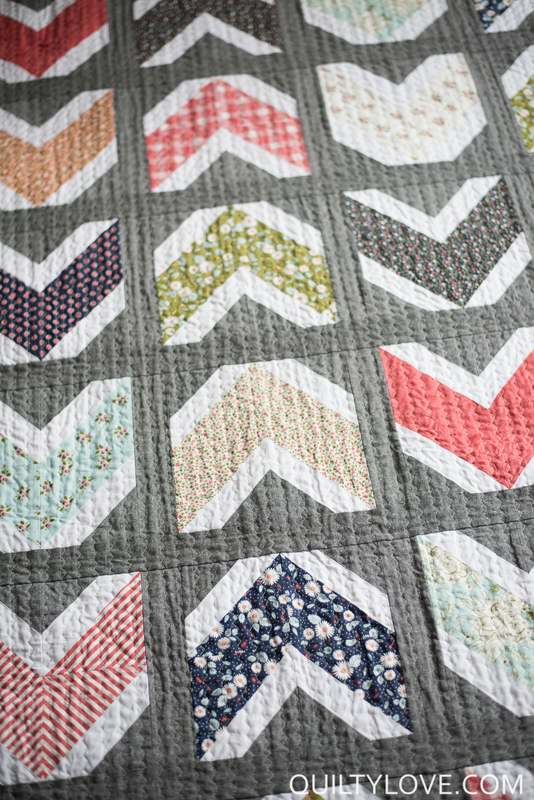 Your designs always amaze me – you have such a distinct style, and it’s awesome!